Hey, wait a minute !! This Bass has an incredibly wild finish on it, This is done in a combination of ways and requires a tremendous amount of skill and patience. A job like this can take up to week to do. Dean Z, after playing this you won't want a Gibson !!! The tone & resonance are awesome. That big tuning fork headstock resonates like a banshee. Originally Ed thought it was too ugly to sell so he figured he would use it. Everyone loves this guitar so much that Ed is offering relics where the wood is worn down like this. Ed says "If these other Jibroneys, chare $10,000,00 to $30,000.00 for just chips & scratches." " We can do it better, more realistic and of course as always, cheaper !!!!!!" 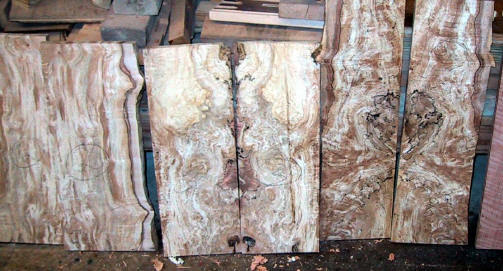 But JET guitars offers some of the finest Spalt we have ever seen. 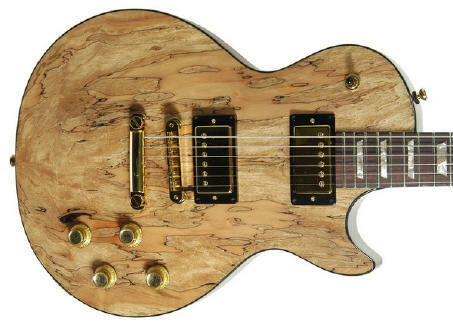 "Quicksilver Guitars are Awesome Guitars"
This guitar plays circles around a Les Paul, The action is set lower. 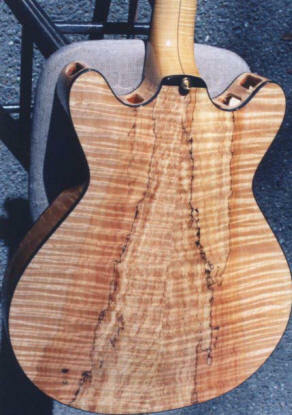 This guitar is hand built completely in the USA unlike a Les Paul. 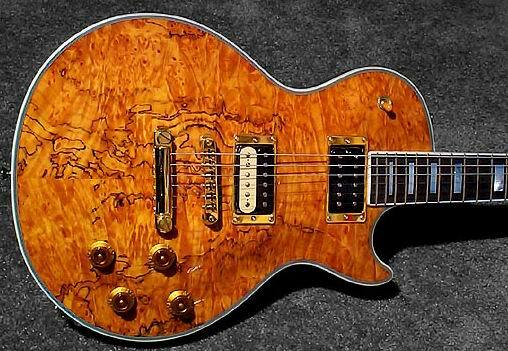 Why would anyone want a Les Paul ? Maybe they like heavy, cumbersome, outdated guitars. Maybe they are rebelling against modern technology. Maybe they are insecure, and want to join the groups of other lemmings. Maybe they are trying to recapture their youth. 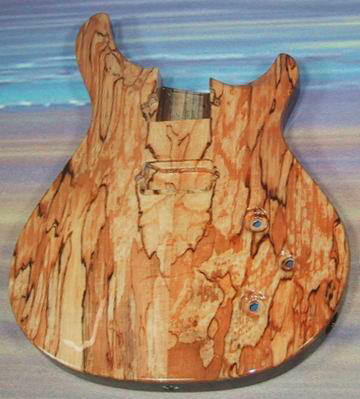 Maybe they like paying hand made prices for machine made guitars. Why Do a Retop ? To fix the guitar after some one drilled it out, damaged it, or put a tremolo on it. To make it sound better. To Upgrade the incorrect hardware the factory installed. 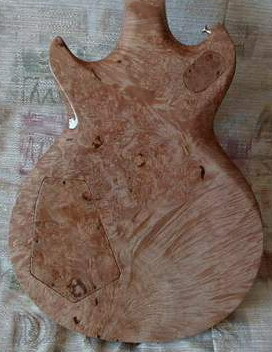 To change the standard mounting or position of the pickups. To be an anti traditionalist. 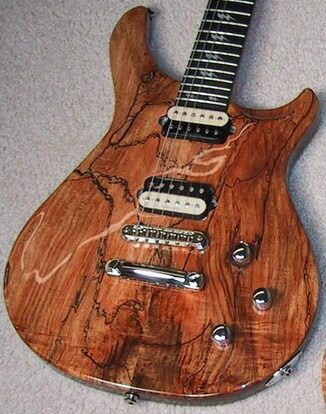 To make your guitar look much better. 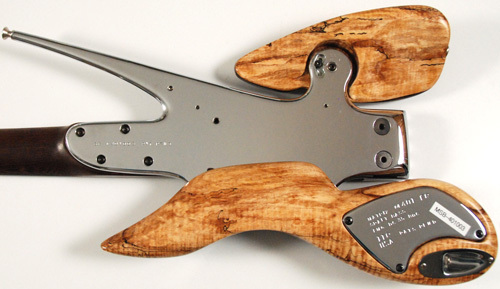 To make your guitar a true extension of your own personality and not someone else's. If you own a PRS with a tremolo or one of their substandard, wraparound bridges. 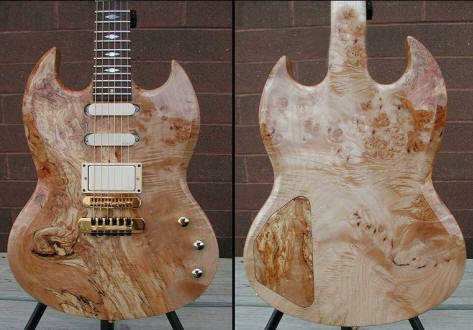 Or possibly a BC Rich, that has one of those cheesy Badass bridges or Quadmatic wraparound bridges. Or any guitar with a trem or crappy bridge. A retop will solve all your problems!!!! Sometimes it's cheaper just to out and buy a new guitar. But then there's that old nostalgic sentimentality that you have attached to Old Betsy. You can't put a price on that. Maybe the guitar belonged to your dad and you want to honor him by playing it. Very admirable but that old time technology will limit your playing severely. Dad would probably not want that. Call Ed Roman Now !!! !